Another rest day. We went shopping for something to take home for Kim, Kim's boyfriend Jens and Rory's girlfriend Annika and ended up hiking to Puerto de Santiago twice, so it was quite an athletic day after all. I didn't take any photos, so here are some of Playa Jardin in Puerto de la Cruz, which I took yesterday. 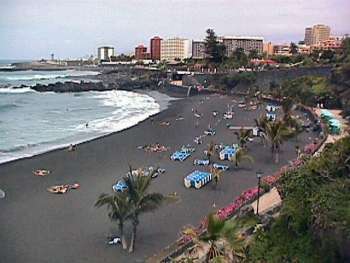 Playa Jardin is at the west end of Puerto de la Cruz. We walked past it on our way to and from Loro Park. It takes its name from the lovely gardens behind the beach. This and the following photos were taken in the gardens behind Playa Jardin. 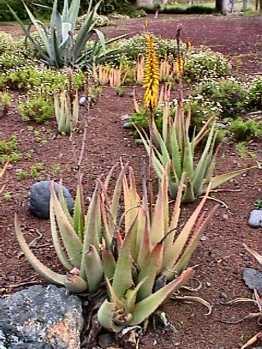 These aren't trees - they are the flower spikes on agave plants, from which sisal is made. The red flowers are the same family as amaryllis. 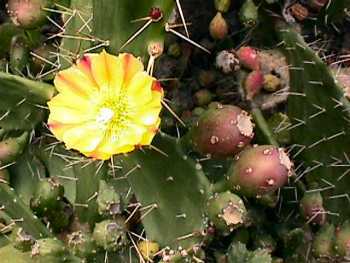 A Prickly Pear (Opunta) cactus in flower. 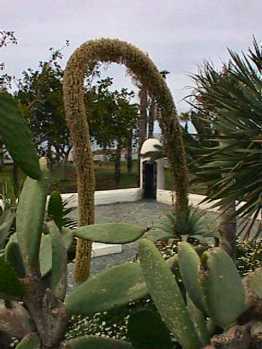 Opunta cacti grow all over Tenerife, not just in gardens. They used to be a major crop - not the cacti but the cochaneal beetles which lived on them and were a source of red dye before chemical dyes were introduced. 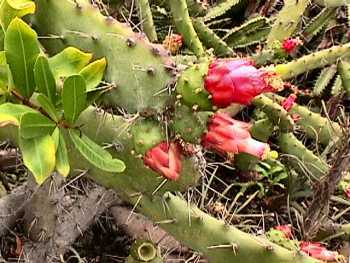 Many different kinds of succulants grow all over the island. This one has spikes of yellow flowers. 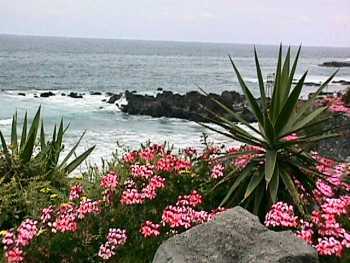 The Echium plants are indiginous to the Canary Islands. 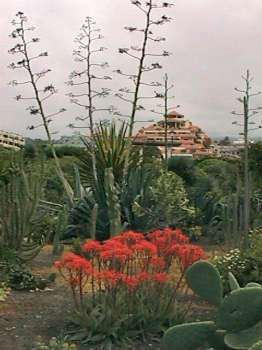 There are also varieties with blue flowers and the famous Taginaste with red flowers which grows high in the mountains and takes about 7 years to grow from seed to mature plant, flowers once, then dies. Unfortunately they flower in June and not when we were there. 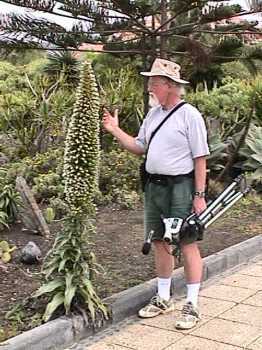 We saw these huge flower spikes in many gardens. The spikes are so huge compared to the plant itself. Unfortunately we did not see any actually blooming. 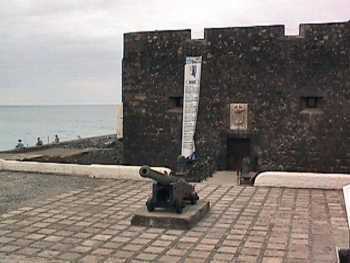 At the east end of the Playa Jardin is the fortress, Castillo de San Felipe.